Most orphans struggle in school as they have no parents at home to help them with their homework or encourage them to work on projects. In fact, a bigger problem is that children who do not have parents at home have extra work to do and homework takes a back seat to the work. 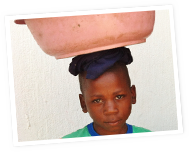 Children in child headed households or in households with a sick adult carer, spend most of their out of school washing, cooking, finding food for the household, cleaning or selling tomatoes on the street to earn money for the house. Children and youth who come to the centre each day receive homework support and help. In this way, they can be assisted to stay in school and staying in school is the key to their futures. 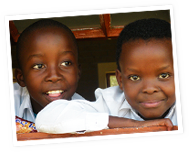 A homework support programme has started for orphans at Siyakhula Primary School, which is close to the centre. Bonginhlanhla High School has also started a homework support programme. Youth workers from the centre go to the schools after school to work with the children before they go home.